Datawind launched its new tablet, the UbiSlate 7C+x, in India. Priced at Rs. 4,999, the budget tablet will sell via all modes of Naaptol’s shopping platform. It will be made available with other channel partners of Datawind within a week. Datawind has partnered with Reliance Communications to provide free 2G internet connectivity for one year. 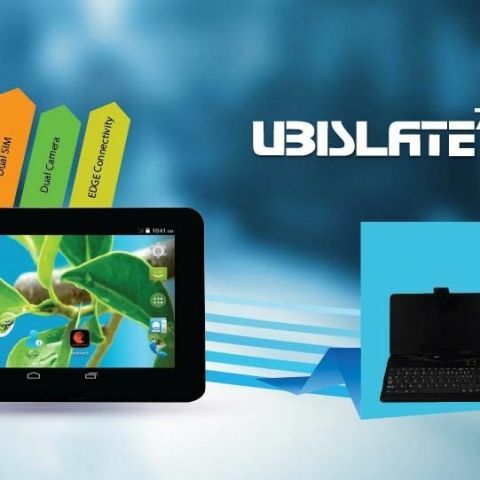 The Datawind UbiSlate 7C+x has dual-SIM card slots, and is based on Android operating system. It is powered by a dual-core processor, has voice calling, and 4GB of internet storage which is expandable upto 32GB. It will have 2G internet connectivity. The tablet also comes with a microUSB-powered keyboard case. Along with the launch of this new tablet, Datawind has also announced that all of their devices will get one year of free internet browsing, via UbiSurfer. Any data accessed with other browsers will be charged. Datawind is also increasing its manufacturing facilities in India. With increases in excise duties, the Canadian company has claimed that it has set up assembly line that is capable of 2 lakh units output every month. It is also in talks with contractual manufacturers to set up additional facilities.